Today’s Guest Post comes to us from Brian Barwig of Selfstoragefinders.com. Self Storage Finders is a resource for people looking for affordable storage solutions across the country. Just pop in your zipcode and see the best storage facilities in your neighborhood! A few weeks ago a man from San Jose bid $1,100 for a storage unit which was being auctioned off. No doubt he thought he had good potential to make money on the unit but little did he know what he was in for. Among other items in the storage unit he found $500,000 worth of gold coins stashed in a Rubbermaid bin. Stories like these are becoming more prevalent with the explosion of Reality TV shows like Pawn Stars, American Pickers and Storage Wars. 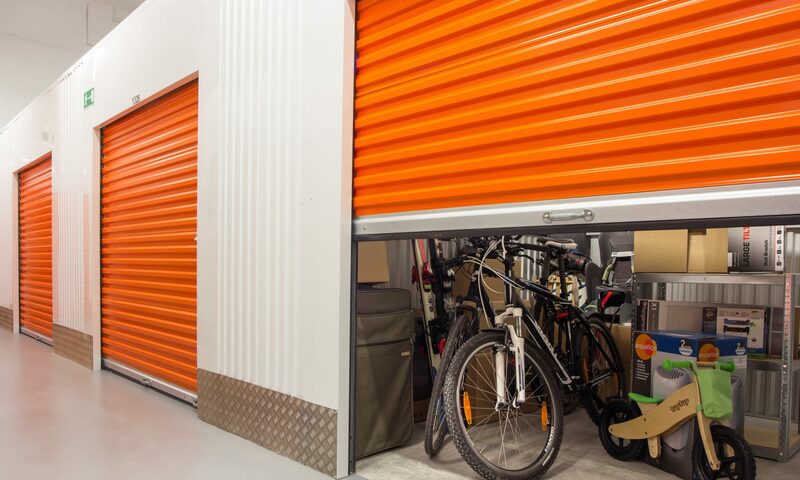 Although storage auctions have been around for decades, people are just beginning to find out what they are all about and how exciting they can be. Storage auctions happen every week all over the country but until recently were not very trendy. The popular TV show “Storage Wars” has made storage auctions the new craze and everyone wants a piece of the pie. The reality is most self storage owners do not want to sell the contents of storage units and only do it as a last resort. The increase in storage auctions over the past several years has much to do with the state of the economy because people don’t have the money to pay for the storage unit and thus it gets auctioned off. The auctions are much like penny slots, small stakes gambling which sometimes pays off. There are many different types of bidders with differing motivations for attending auctions. Some are retired, some bored, some looking for a big payoff and some as a job. More often than not, the contents of an auction allow bidders to break even or stay just ahead, but what keeps them coming back is the anticipation of hitting the jackpot. The process of storage auctions is a bit different from storage facility to storage facility but most follow a similar script. Renters of abandoned storage units have three months to pay their self storage bill or the units can be auctioned off. Prior to the auction, the doors of the unit are opened for about 10 minutes and no one can enter – what you see from the door is what you get. Some storage facilities use silent bids while others have a bidding war aloud. No employees can bid and no one knows who owns the storage unit. In addition, all personal items such as documents, pictures, photo albums, journals etc. must be returned so they can be given back to their rightful owners. If you are looking for storage auctions near you, there are several good storage auction finders online which detail storage auction times, dates and rules. You can bet storage auctions are bound to become even more crowded and popular as new buyers flock in to find their jackpot. We often hear the story of those making a ton of money but rarely those numbers who lose a ton of money bidding on useless storage unites.